LG outs GX: a remodeled Optimus G Pro? A new phablet is in town just in time for the holidays. This time, it's from the LG's line of "G" smartphones. 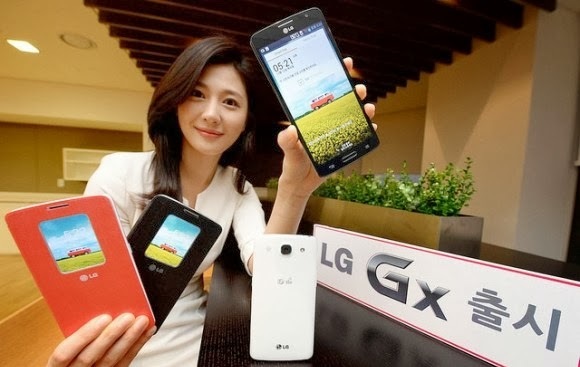 The latest is called the LG GX - a phablet that is deduced from the original Optimus G Pro. What makes it more like its year-old distant cousin is that it also sports a stunning 5.5-inch screen with Full HD IPS display. Under the hood, this beast carries a generation-old Snapdragon 600 (think of HTC One), 2-gigabyte of RAM, 13-megapixel camera, 3140 mAh battery and a 32-gigabyte internal memory. Expect this handset to run with Android Jelly Bean (version still undisclosed) underneath the LG's UX interface. Currently, there's no word on when will the Korean outfit release this beast but let's just assume that it'll come early next year. Pinoy Metro Geek: LG outs GX: a remodeled Optimus G Pro?